We've combined several of the most popular FMF products for the Kawasaki KLX250 into a handy package deal. The package is based around the FMF Q4 Hex Slip-On muffler. You can either use your stock header pipe with the Q4 muffler, or optionally add to the package one of FMF's header pipes... either the PowerBomb or MegaBomb. Additional options for the package include an EFI (electronic fuel injection) Controller, which is a plug-n-play device that will help take advantage of your new performance exhaust system. Sound: The FMF Q4 Muffler is the quietest aftermarket muffler available for the Kawasaki KLX250. It is still louder than stock, but quieter than other aftermarket mufflers. 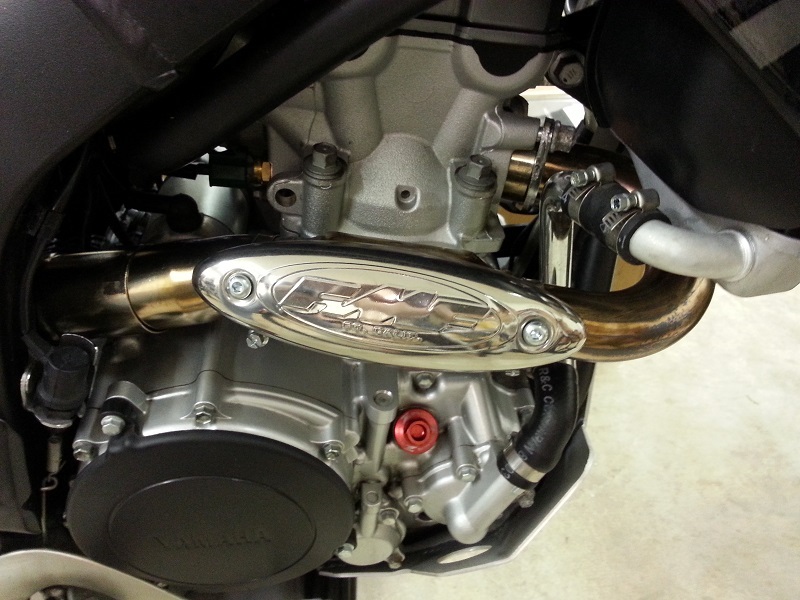 If you want a quiet exhaust on your KLX, this is the one to get! An EFI (Electronic Fuel Injection) Controller, like the one from EJK (ElectronicJetKit.com), is HIGHLY recommended any time you install an aftermarket exhaust and/or air filter on your fuel injected bike, otherwise you will see little to no performance gains, and the bike may even run poorly.